In addition to a good product range and efficient sales channels, the success of Bag Stage lies in multichannel marketing communications. Bag Stage chain is a respectable 126-year-old company. Most of the company’s 3 million turnover comes from wallets and imported bags. The first Bag Stage store was opened more than 13 years ago at Mylly shopping centre in Raisio. In Bag Stage store windows, digital displays attract passers-by with moving pictures, videos and deals of the day. More digital displays can be found inside the stores. 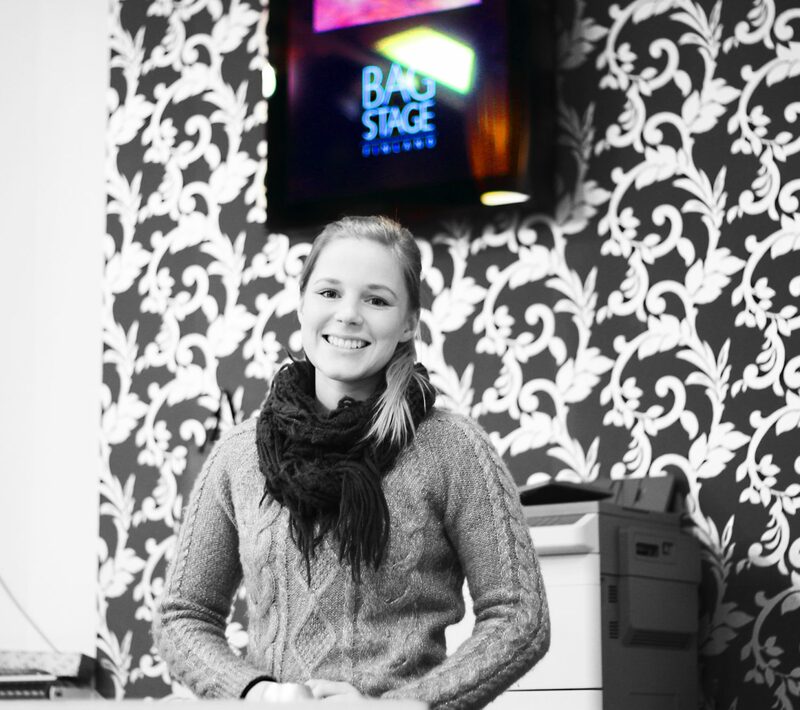 “We can update the content of the screens and use advertising images and videos we get from our suppliers. Same marketing material can be used both on the screens and online. Digital displays are well suited for offers that are valid only for one day or one hour”, says CEO Rami Lehtonen. Virtually one person is responsible for the content on the store displays. Basic content for the whole chain is made once a month, while store specific content is updated weekly. 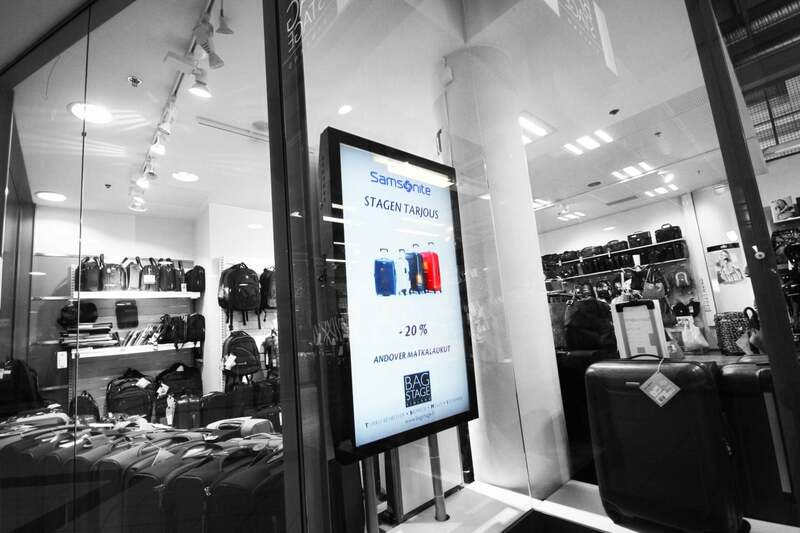 The content and timing of the screens is managed via Internet, so new campaigns can quickly be spread to all stores. With the help of content templates that match Bag Stage’s brand, store managers can easily enter daily offers and store-specific announcements. “There are more young adults and pensioners in the city center, while families with children prefer shopping centers. 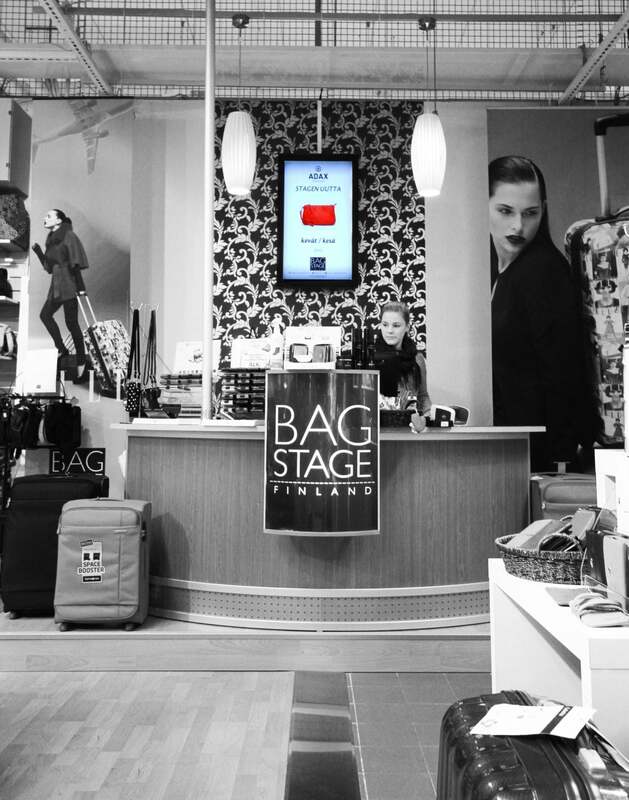 Digital displays allow targeted marketing for different customers at different time of the day”, says Lehtonen. Digital displays allow targeted marketing for different customers at different time of the day.